These amazing pictures show Bedford's 120-year-old Marks and Spencer store through the decades as the town fights to save it from closure. Marks and Spencer recently announced it plans to close the store, putting 68 jobs at risk. Town centre businesses are putting a positive case to Marks & Spencer management to save Bedford’s store from closure. Led by the Board of the independent Business Improvement District (BedfordBID), in collaboration with the council’s economic development team, they hope to persuade M&S bosses the town is viable due to huge investment in Bedford. This brilliant gallery of pictures from local historian Maurice Nicholson shows the iconic store over the years from its humble beginnings as a glorified market stall to the store on the corner of Harpur Street/Midland since its opening in 1929. READ MORE: Love your M&S: Join campaign to save Bedford’s M&S store from closure. The market stall origins of the store before it relocated to the present premises which opened in 1929 replacing the ancient White Horse pub which had stood on that corner since at least Tudor time. 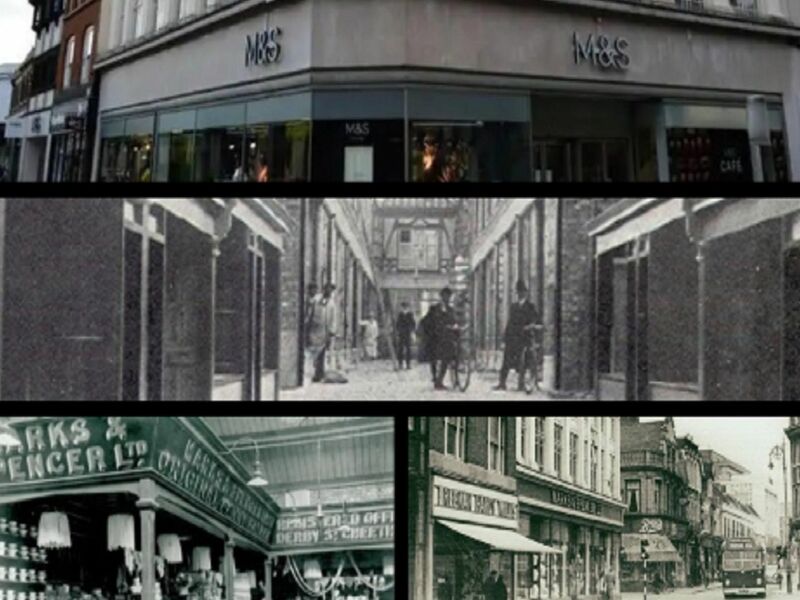 The very first Marks & Spencer in Bedford was not much more than a glorified market stall in the lower arcade (Harpur Street end) which opened in 1909, according to local historian Maurice Nicholson. The White Horse had been important enough that the street from that corner up to Lime Street was originally called White Horse Street until it was renamed Harpur Street in the 1880s. Another photograph shows the busy Midland Road way circa 1950s with buses coming down Silver Street past Boots (now Clinton Cards) and Braggins (now Beales).